Eight housemates are up for possible eviction, following the dissolution of the `strategic partnership’ by Biggie, owner of BBNaija `Double Wahala’ house. The housemates up for eviction on Sunday, March 18, include Anto, Cee C, Lolu, Bambam, Tobi, Alex, Teddy A and Miracle. Controversial housemate Cee C, received the second highest number of nominations after Rico Swarvey, Alex and Miracle seemed to be displeased with her recent accusations towards Tobi. Meanwhile, Alex seems to have taken the eviction of her love interest to heart after crying nonstop all through the day. Leo’s eviction from the Big Brother house seem to have come at her detriment because fellow housemate Anto, deemed her profuse wailing as immature and worthy of being up for eviction. Current queen of the house, Nina expressed her disappointment in not getting the full privileges previous HoH’s acquired. “I am happy to be HoH, but I am sad that I didn’t get all the HoH privileges,” Nina added. 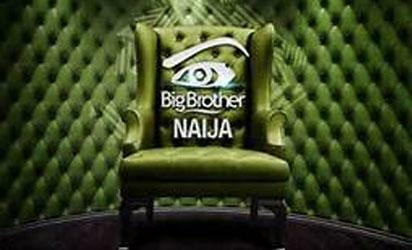 The ten housemates will continue to strategise for a chance of winning the grand prize of N25m and an SUV vehicle. The post BBNaija `Double Wahala’: Tobi, Miracle, Teddy A and others up for eviction appeared first on Vanguard News.